SELECT CABLE OF THE HIGHEST QUALITY BACKED BY THE BEST WARRANTY IN THE INDUSTRY FOR YOUR NEXT PROJECT. Maser provides a LIFETIME WARRANTY to the purchaser that all Maser Cable Solutions™ Maser Fire Solutions™ Maser Security Solutions™ product shall be free of defects in material or workmanship. Maser’s obligation under this warranty is to replace or repair any product, providing said products are used or installed within the specified ratings and applied in accordance with good engineering practice, and providing said products are proved by our examination to be defective. Replacement shall mean provision by Maser of a replacement Product and does not include any material or labour costs, including but not limited to costs relative to the removal or disposal of the defective Product or installation of the replacement Product at the Original End User’s facility or upon the Original End User’s production line or a piece of machinery, equipment or similar device. This warranty does not cover cosmetic damage or damage due to acts of God, accident, misuse, abuse, negligence or modification of, or to any part of the product. The warranty does not cover damage due to improper operation or maintenance, connection to improper voltage supply, or attempted repair by anyone other than a facility or person authorised by Maser. The warranty covers the said product for the fair & reasonable lifetime of the original installation only. The term “Original End User” means that person or entity which first uses the Product on a continuous basis in connection with the installation, operation of a production line or a piece of machinery, equipment or similar device. In the event ownership of the Product is transferred to a person or entity other than the Original End User, this lifetime warranty shall terminate. No claims under this lifetime warranty shall be valid unless the Original End User notifies Maser in writing of the defect within a reasonable time following its discovery. If such remedy fails its essential purpose, Maser’s liability shall be limited to a refund of the purchase price paid for the defective Product. 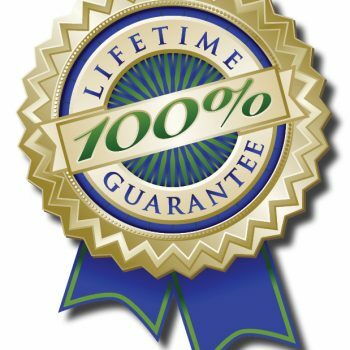 THIS LIFETIME WARRANTY IS IN LIEU OF ALL OTHER WARRANTIES, EXPRESS OR IMPLIED, INCLUDING ANY WARRANTY OF MERCHANTABILITY, FITNESS FOR PARTICULAR PURPOSE OR OTHER WARRANTY OF QUALITY, AND ALL OTHER LIABILITIES OR OBLIGATIONS ON THE PART OF MASER. THERE ARE NO WARRANTIES WHICH EXTEND BEYOND THE DESCRIPTION ON THE FACE HEREOF. IN NO CASE WILL MASER BE LIABLE EITHER IN TORT, CONTRACT OR OTHERWISE, FOR DIRECT, INDIRECT, SPECIAL, INCIDENTAL, PUNITIVE, CONSEQUENTIAL, OR OTHER SIMILAR DAMAGES, INCLUDING BUT NOT LIMITED TO, DAMAGE FOR LOSS OF BUSINESS PROFITS, BUSINESS INTERRUPTION, OR ANY OTHER LOSS, REGARDLESS OF THE CAUSE OF SUCH DAMAGE, WHETHER OR NOT CAUSED BY OR RESULTING FROM THE NEGLIGENCE OF MASER, EVEN IF MASER HAS BEEN ADVISED OF THE POSSIBILITY OF SUCH DAMAGES. IN ADDITION, IN NO EVENT SHALL MASER BE LIABLE IN CONNECTION WITH THIS LIFETIME WARRANTY IN AN AMOUNT THAT EXCEEDS THE PAYMENTS MASER HAS RECEIVED FOR THE DEFECTIVE PRODUCT. This lifetime warranty shall not apply to any Product which is stored or utilized in harsh environmental or electrical conditions outside the scope of written specifications issue by Maser. Maser takes great care to design and build reliable and dependable products; however, some products can fail eventually. You must take precautions to design your equipment to prevent property damage and personal injury in the unlikely event of failure, and to install and maintain your equipment in compliance with local codes.